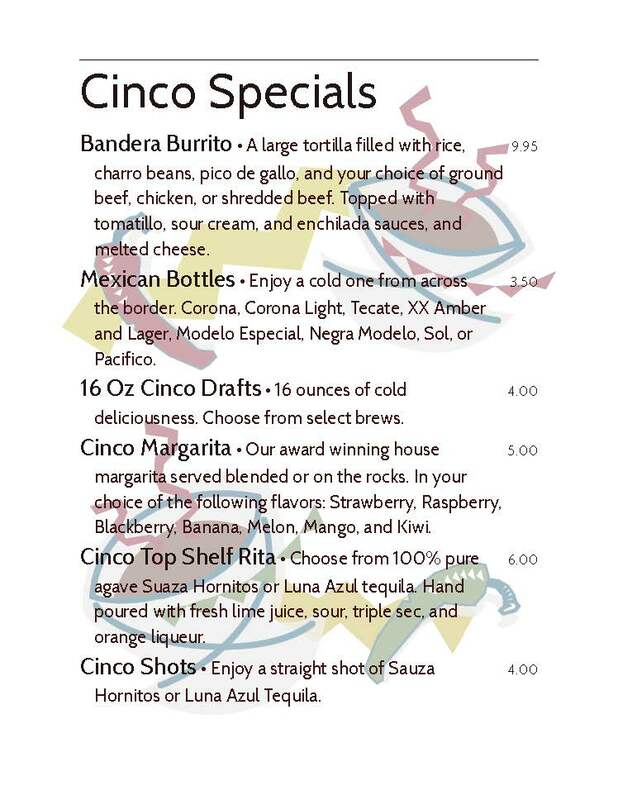 We have awesome specials almost everyday of the week for you guys! Monday: kid’s night! 2 kids meals free per adult entree purchased starts at 4:00 P.M.
Piñata bust at 7:00 P.M.
Wednesday: 2 for 1 margaritas all night long starting at 4 P.M.
7 DAYS A WEEK! 3–6 P.M.
© Copyright 2019 Cafe Ole. All Rights Reserved. Website Designed & Developed by Social Eyes, a business web design and search engine marketing company.